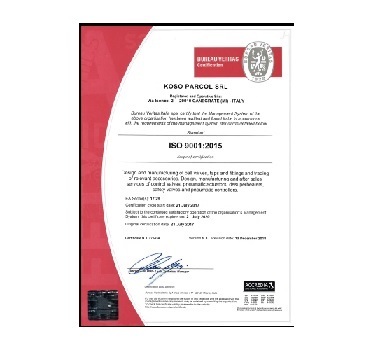 KOSO PARCOL Srl has received ISO 9001:2015 certification by Bureau Veritas (Cert. IT275434). 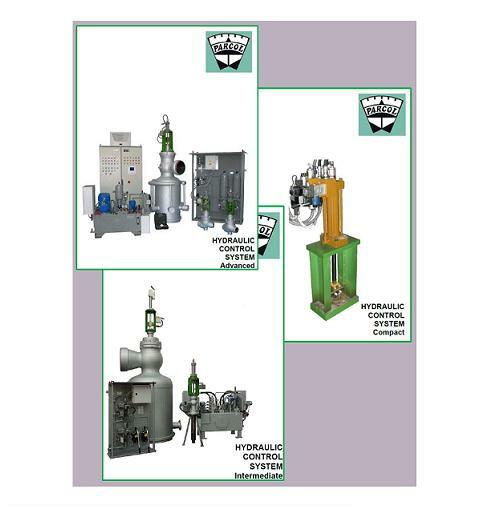 This certification covers all products, including : ball valves, control valves, steam desuperheaters, pressure reducing and desupeheating stations and safety relief valves. 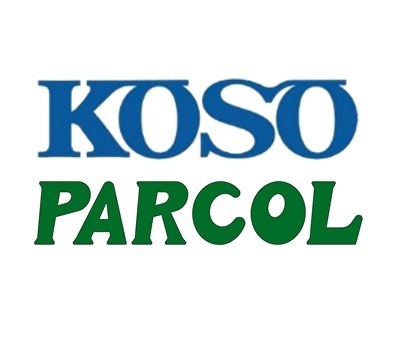 KOSO PARCOL manufactures quality products made to meet the most stringent design and quality requirements. 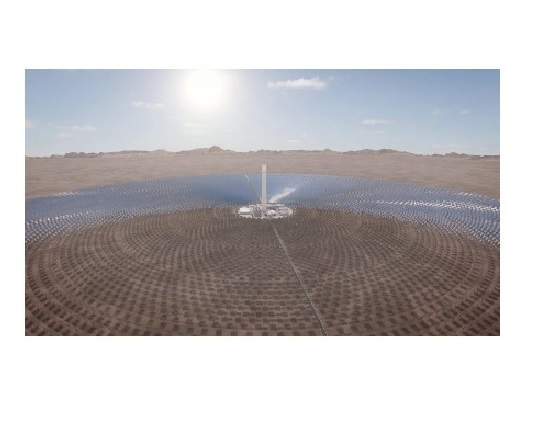 Koso-Parcol has been awarded an important contract for the supply of severe service control valves, up to 24” ND and up to 2500 lbs rating, for a 110 MW Concentrated Solar Plant (CSP) under construction in Cerro Dominador, Chile. 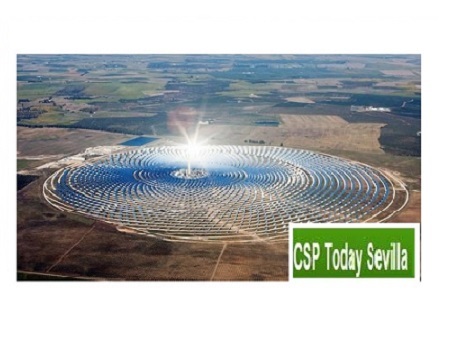 The solar field consists of over ten thousand heliostats and concentrate solar power at the receiver, placed at a height of over 200 m. The molten salt technology used in this plant will have a storage capacity up to nearly 20 hours. On May 15, 2018, the Japanese Group Nihon Koso was awarded by the Court of Busto Arsizio with the business of Parcol S.p.A., following to the competitive auction within the composition with creditors procedure. The historical company of Canegrate, founded in 1954 and specialized in control valves and steam control systems, operating in the power, fertilizer, chemical, petrochemical and oil&gas becomes part of the galaxy of the Japanese group. The purchaser, Nihon Koso, is currently present in 20 countries around the world, including Italy with Koso Italy S.r.l. located in Rho, Milan. Nihon Koso is a world leader in the manufacture and sale of valves, actuators, sensors and other instrumental equipment. This transaction ensures continuity to Parcol, opening it to new business opportunities and further strengthens the role of Nihon Koso as a global leader in the field of industrial products. This was achieved thanks to the commitment of Mr. Takashi Ikegaya and Mr. Yuichi Ikegaya, respectively Chairman and CEO of Nihon Koso, as well as of Mr. Giancarlo Vandone, Mr. Erminio Campanelli and Prof. Catry Ostinelli for Parcol. Moreover, this transaction was carried out thanks to the support of Avv. Dario Radice of Studio Limido & Radice for Parcol and the Commissioners appointed by the Court of Busto Arsizio, Mr. Salvatore Sanzo of Studio Sanzo e Associati and by Mrs. Paola Giudici. “This acquisition draws on the treasured legacy that Koso group and Parcol have earned with over 100 years of control valve experience between them and will position the new company to achieve profitable growth in future under Koso group. We will combine Koso’s winning strategy of bespoke product, class leading innovation, unmatched end-user focus and global sales force with the highly respected Parcol brand” said Yuichi Ikegaya, CEO of Koso group. As a part of its expanding market reach worldwide to cater to critical applications in energy sector, PARCOL has taken a significant leap by securing few significant contracts in Indian power market over last few months. 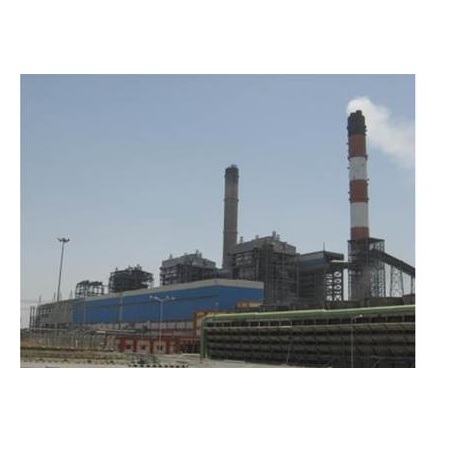 PARCOL shall be supplying Auxilliary-PRDS and LP Turbine Bypass systems for 500 MW, 660 MW and 800 MW coal fired projects. This comes on the heels of securing registrations and necessary approvals from Indian Boiler Turbine and Generator Manufacturers and EPC Contractors as well as Central Generation Utility and State Generating Companies. The notable projects for which PARCOL shall supply the above systems are 2×500 MW Neyveli, 3×660 MW Nabinagar, 2×800 MW Darlipalli. The first supplies for 3×660 MW Barh 1 after successful inspection by customer is already underway. 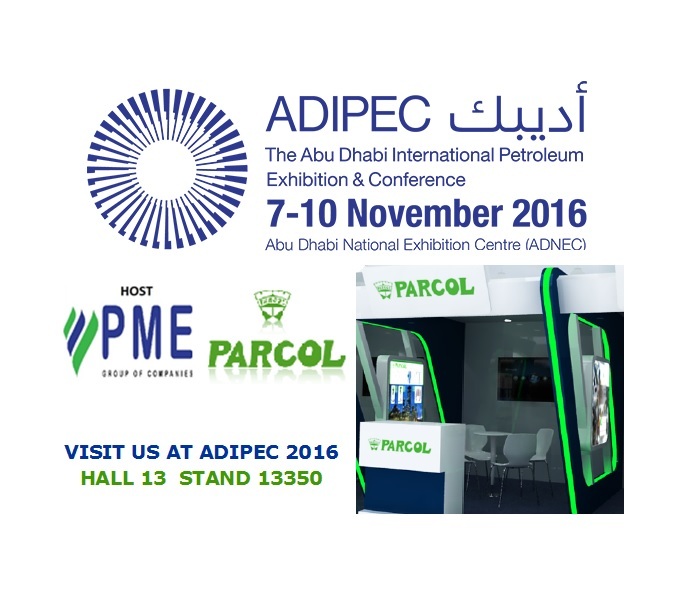 Parcol will be one of the 2000 exhibiting companies at ADIPEC 2016, the Abu Dhabi International Petroleum Exhibition & Conference which will take place at Abu Dhabi National Exhibition Centre (ADNEC) from 7 to 10 November 2016. 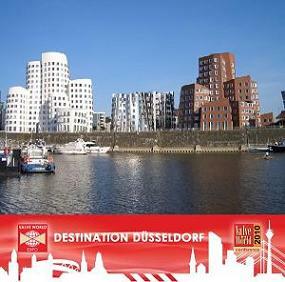 We will be glad to meet you at Hall 13 Stand 13350. 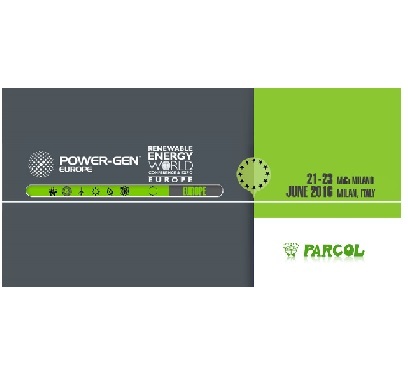 On 21st, 22nd and 23th of June will take place in Milan POWER-GEN Europe Europe and the co-located Renewable Energy World Europe, a centre point to meet and share information on the challenges facing the power industry and discuss solutions for advancing Europe’s energy future. 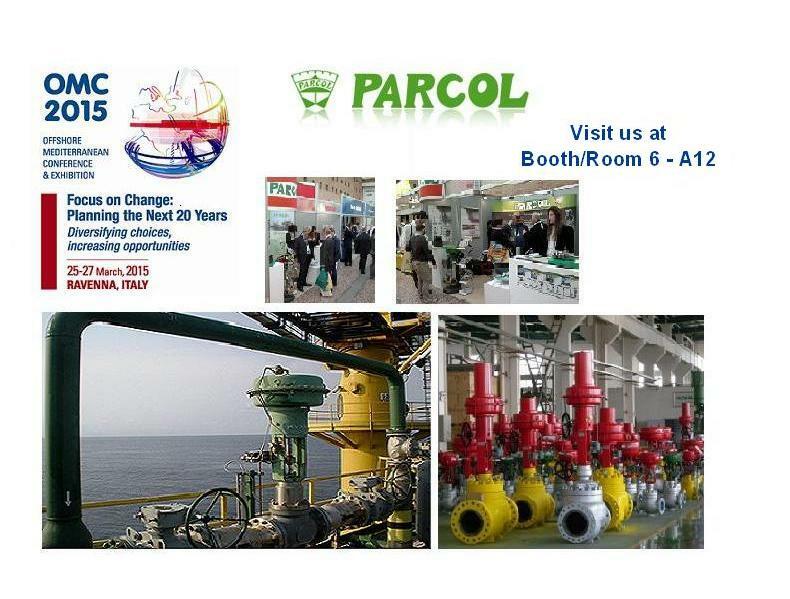 PARCOL will exhibit its wide variety of products and services for the power generation sector such as the 1-5700 pressure reducing and desuperheating stations, the 1-7000 series tandem plug control valves and the 1-4442 spraysat desuperheaters. Visit the Booth 3HD58! 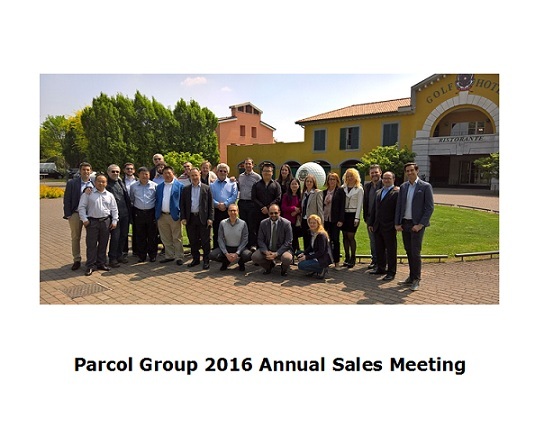 It was held on 21st and 22nd of april at the beautiful setting of Le Robinie Golf & Resort in Solbiate Olona (Varese, Italy) the 2016 Parcol Group Annual Sales meeting. All sales forces coming from the five worldwide Business Units celebrated the extremely positive results of 2015 of nearly 50 million Euro of sales order income and shared the policy strategies to promote Parcol Group name and its products. 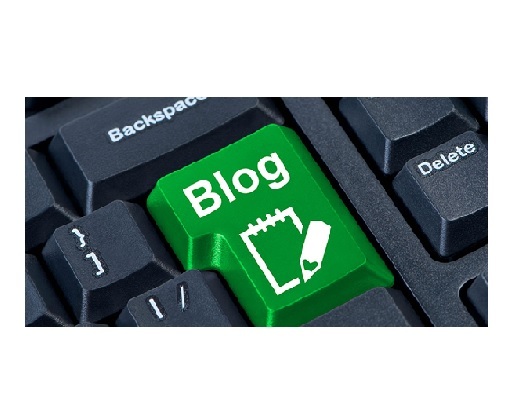 PARCOLnews is born!It is the new blog of our company, worldwide leader for control valves, steam desuperheating systems and safety valves. You will find interesting news from the world about: Desalination Plants, Power Generation, Oil&Gas, Ammonia and Urea Plants. 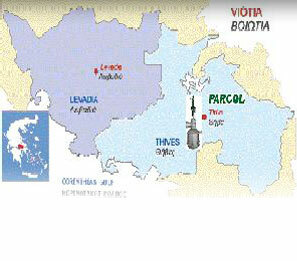 These are the markets where PARCOL ensure the best services to the most demanding clients. Enjoy your reading! 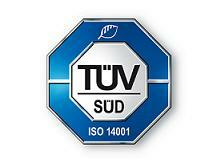 The series VSU 3-5403 universal pressure safety relief valves is now ASME Stamp certified. Certification is valid both for compressible and incompressible fluids and the series geometry is tailor-made to meet the requirements of ASME Code Section VIII. 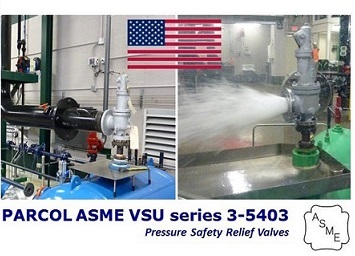 This series represents the third step in evolution of the first series 3-5401 dated 1989: still providing high quality overpressure protection with the same valve on gas, liquid and two-phase mixtures services, in addition, offers dramatic improvement of discharge flow rates under severe back pressure conditions. More information available on the dedicated technical bulletin downloadable here. 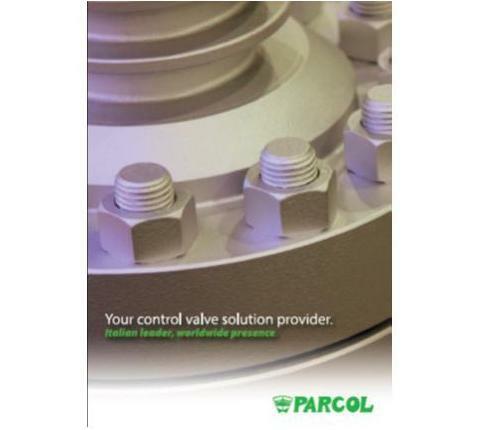 • Accurate valve design to improve heat transmission and salt heating. • Trim and guide special design to improve drainage and reduce solidification. • Special gaskets for high temperature applications. 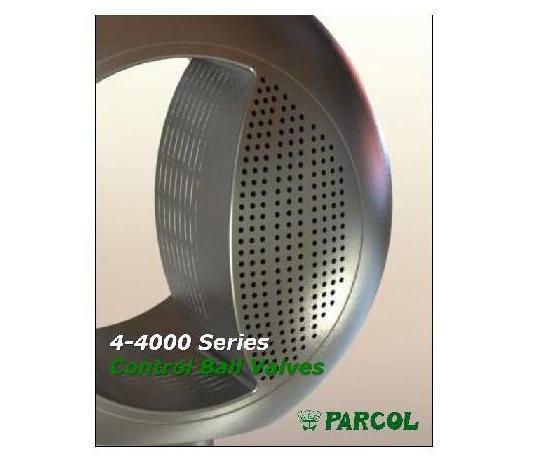 The new catalogue for 4-4000 Series Parcol Ball Control Valves is available and downloadable here. 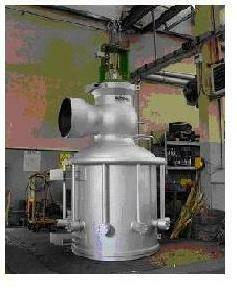 The best choice to combine high flow capacity with an accurate regulation at low flowrates. A particular trim design able to offer an effective noise reduction on gas and anti-cavitation action on liquids, as well as a high rangeability combined with excellent tightness. SIZE: from 2” to 48” / RATING: from ANSI 150 to 2500. 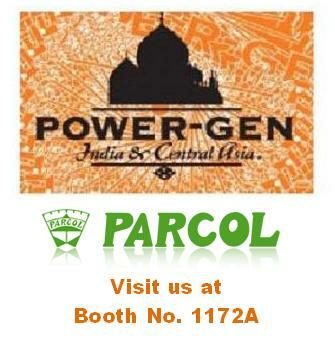 Parcol will exhibit at POWER-GEN India & Central Asia, which will take place from 14 to 16 of May 2015 at Pragati Maidan New Delhi. POWER-GEN India & Central Asia provides an unrivaled opportunity to meet major players in the Indian and international conventional power and renewable sector and learn about the latest technologies. We are proud to be among the exhibitors of POWER-GEN India & Central Asia and will be glad to meet customers and prospective customers at booth No. 1172A, where we could talk about the evolution of PARCOL in the energy market, thanks to our products, recently enriched with new series, which give us new opportunities of co-operation. 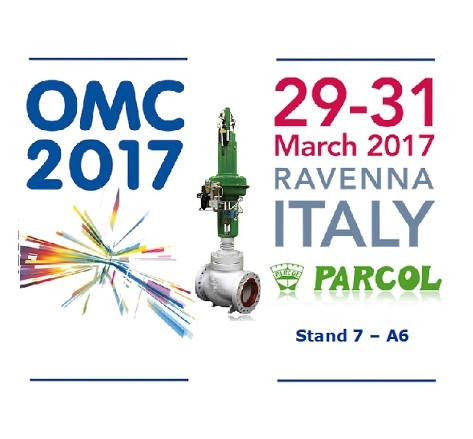 Parcol will exhibit at OMC 2015 which will take place from 25 to 27 of March 2015 inside the Pala De Andrè - Ravenna. Visiting the exhibition is free of charge for interested professionals, which could register online by filling in the visitor form, or upon arrival on site handling the Complimentary Invitation Ticket, having filled in all fields. We are proud to be among the exhibitors of OMC 2015 and will be glad to meet customers and prospective customers at Stand No. 6 A12, where we could talk about the evolution of PARCOL in the energy market, thanks to our products, recently enriched with new series, which give us new opportunities of co-operation. Parcol has been awarded a multimillion dollar contract for the supply of Export Steam Pressure Reduction and Desuperheating Stations (ESPRDS) for the Yanbu Power and Desalination Plant (Phase III), in Saudi Arabia. The Client is Al-Toukhi Company for Industry Trade and Construction (AT) and with this important contract Parcol reinforces its presence in the GCC area. "Parcol Company Profile " is now available also in Russian version in the download area of this website (PARCOL RUSSIAN COMPANY PROFILE). The new version has been published to offer a full visibility to Parcol also in russophone countries focusing the information on technical solutions made in Parcol. Through the QR Codes the research of technical info is easy and immediate. 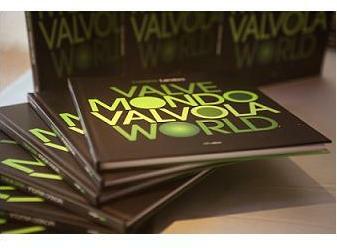 Written by the journalist Luciano Landoni and fully sponsored by TRUST BOLLANI, the book MONDO VALVOLA – VALVE WORLD has been presented on June 27, 2014 during the celebration of the 60th anniversary of Parcol. The book is also available here. 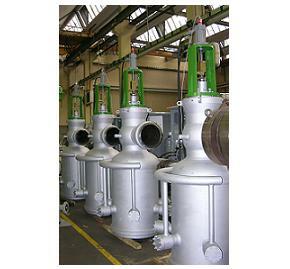 - 1-4443 Series Sprayring Desuperheaters. Hydraulic actuation is used for positioning of PRDS and control valves whenever high actuation thrusts and stroking speed are associated to accurate positioning. 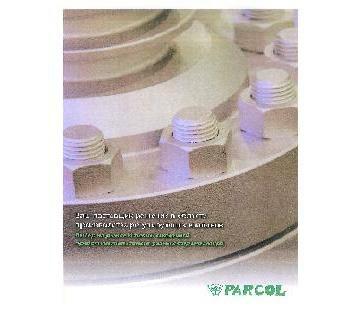 In these brochures three different PARCOL solutions (advanced, intermediate and compact) are fully described.. 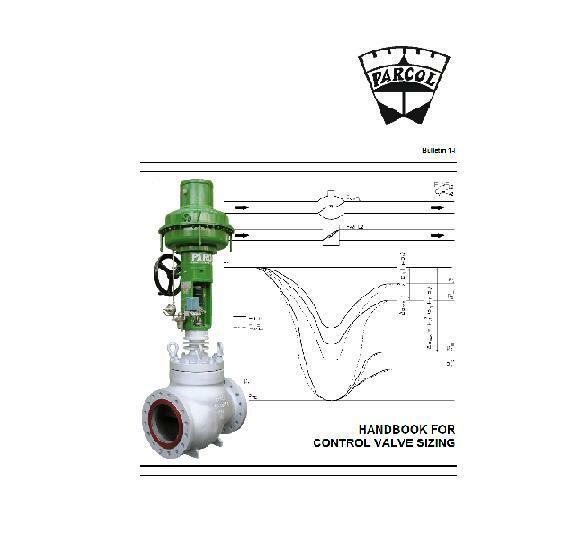 This new version of Parcol 3-I handbook sizing brings together the mathematical tools required for a proper selection of control valves. The equations presented for liquids, gases, and steam are according to IEC standard 60534 and are divided into sections to simplify manual calculation for the more common sizing problems. We are proud to inform that PARCOL has been awarded ISO 14001:2004 accreditation, the internationally recognized environmental management standard. Since its establishment Parcol has always stood out for its constant care to all problems connected with the effects on the environment and for fulfillment of the related law obligations in force. The new "Parcol Company Profile" is now available in the download area of this website (PDF). The new catalogue has been designed to offer a full visibility to Parcol throught the served industries and with a detailed focus of technical solutions involved. Through the QR Codes the research of technical info is easy and immediate. 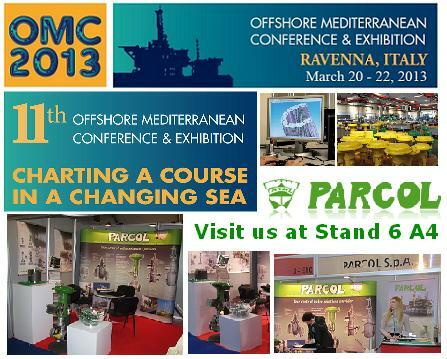 Parcol will exhibit at OMC 2013, which will take place from 20 to 22 of March, 2013 at the Pala De Andrè - Ravenna. This fair is the largest event for the Mediterranean Energy Sector focused on European, North African & Middle East oil, gas and energy industry issues. Some of the most important international e&p companies from worldwide have already confirmed their presence, next to Eni, who are the Host Sponsor, there will be Edison from Italy, Sonatrach from Algeria, the Egyptian Ministry of Petroleum including EGPC and EGAS, Total from France, Shell from The Netherlands, NOC from Libya, Crosco and Ina from Croatia, just to name a few. Also Parcol, proud to be among those important companies, will be glad to meet customers and prospective customers at Stand No. 6 A4. 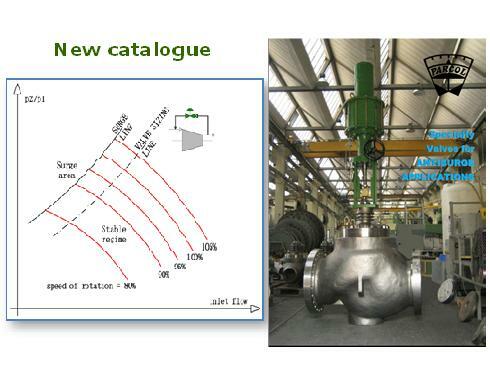 The new catalogue "Specialty Valves for Antisurge Applications" is now available in the download area of this website (ANTISURGEAPPLICATION). 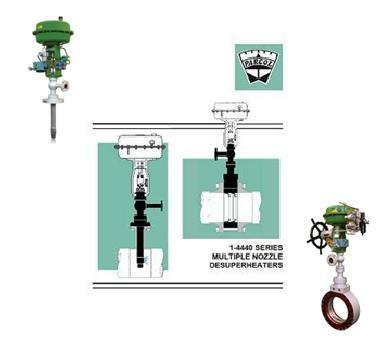 Parcol antisurge control valves are installed with appropriate instrumentation on discharge line to recycle the gas back to the compressor suction line, to grant an appropriate flow through this valve and ensure to the compressor to operate above the surge point. 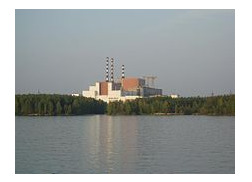 Last September Parcol was awarded an important order for the supply of eighteen control valves, Limiphon and VeGA series, designed for water and steam applications, for Beloyarsk Nuclear Power Plant. This July Parcol has been awarded an important order for the replacement of two steam turbine by-pass stations installed in a 800MW Combined Cycle Power Plant located in north of Italy. The two units, having size 20” ANSI 600# inlet x 40” ANSI 300# outlet, are very similar to those supplied by Parcol in 2004 in a similar plant, shown in the picture. 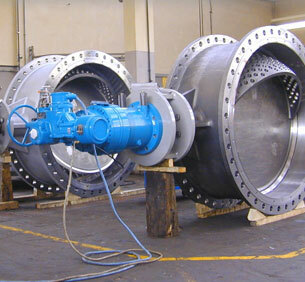 The trim of these gigantic valves is based on the Limiphon multistage-multipath technology. Included in the Parcol scope the water injection chambers and the water control valves. 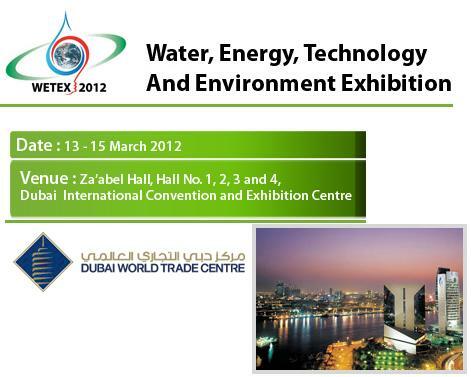 Parcol, through their Official Agent for U.A.E., Automation & Control Industrial Systems (ACIS), will exhibit at Wetex 2012 – Water, Energy, Technology and Environment Exhibition - which will took place in Dubai International Convention and Exhibition Centre at Hall No. 2, Lane Q and Booth 17 & 20, from 13 to 15 March, 2012. 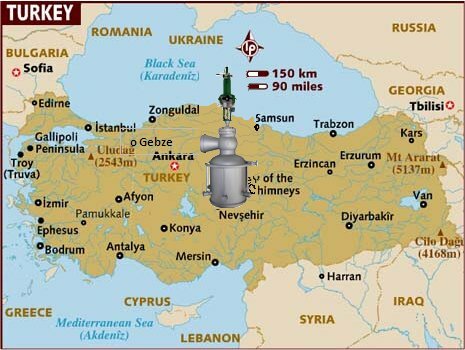 Parcol has secured several important orders for the supply of control valves and desuperheaters for the new Gebze power plant located in Turkey. The plant will have a total installed power of 850 MW, produced by 2 Gas Turbines, 2 Exhaust Heat Boilers, and 1 Steam Turbine. 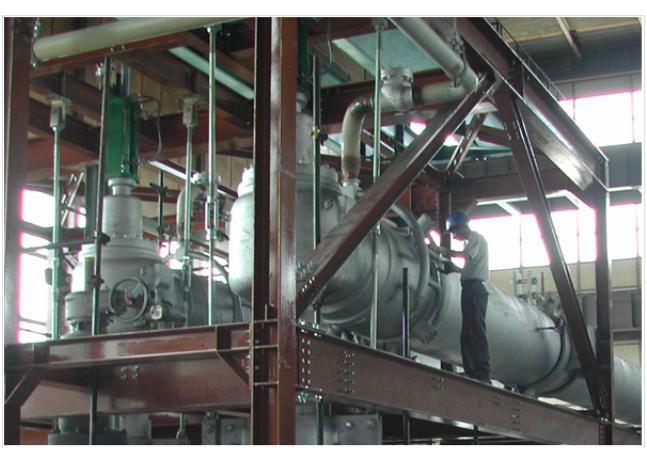 In detail we are speaking about pressure reducing and desuperheating stations (PRDS), Parcol series 1-5700 used as steam turbine by-pass having with dimensions : 10” 2500# x 16 600# (high pressure by-pass), 24” 600# x 36” 300# (medium pressure) and 12” 300# x 16” 300# (low pressure); to these systems we add all control valves (1-6940 VeGA series and Limiphon), and automatic drains (1-7000 series, with tandem plug) for the heat recovery steam generator (HRSG) and those belonging to the gas turbine fuelling system. A big success for Parcol, who consolidates its leadership in this extremely demanding sector. Eng. Campanelli was the speaker at the workshop which took place from 16 to 18 May at Grand’Hotel Miramare in Santa Margherita Ligure, during the “Desalination Industry Action for Good” Conference organized by IDA (International Desalination Industry). Eng. 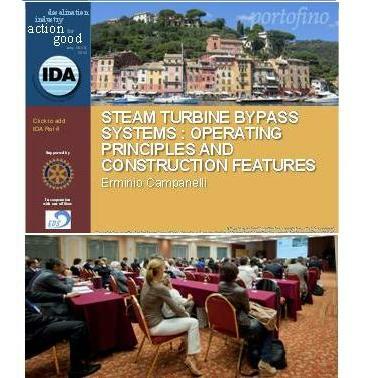 Perego was the author of papers on Steam By Pass Turbine presented at the workshop. This conference was attended by the most important international companies operating in the sector of desalination and in this occasion were gathered also founds for the Ankililoaka district in Madagascar. 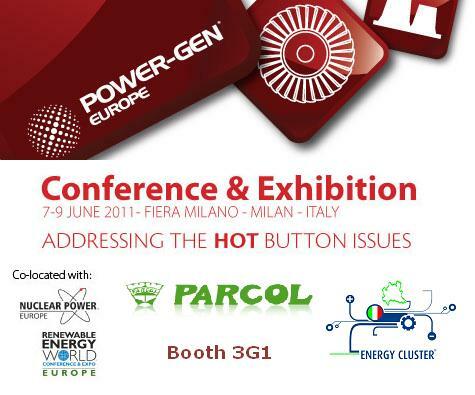 Parcol, thanks to the support of Energy Cluster, will be present at the nineteenth edition of Power Gen Europe 2011, which will be held in Milan, at Fiera Milano City, Piazzale Carlo Magno, from 7 to 9 June 2011. 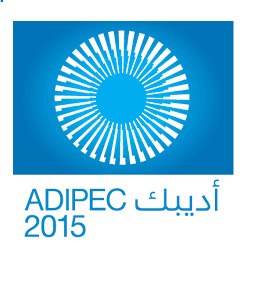 This event is recognized as the must attend event for the international power industry. Both conference and exhibition floor attract the industry’s leading professionals and key decision makers, whose innovation and expertise are helping to shape the future of electric power production and usage, so we hope to see also you at booth 3G1. 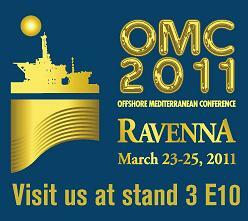 Parcol will exhibit at OMC 2011, which will take place from March 23 - 25, 2011 at the Pala De Andrè - Ravenna. This fair is the largest event for the Mediterranean Energy Sector focused on European, North African & Middle East oil, gas and energy industry issues. Over 14.000 square meters of exhibit space, 6 pavilions, 5 conference rooms, dedicated areas for posters, awards, workshops are ready to welcome OMC 2011 attendees: 400 exhibiting companies from 24 nations worldwide have already confirmed their presence, resulting in a 20% growth over last edition. The presence and participation of the oil and gas majors, and the main international companies providing services to this industry, have greatly contributed to the overall success of the 2009 edition. Parcol is proud to be among the important companies which will exhibit at OMC 2011 and its representatives will be glad to meet old and new potential customers at Stand No. 3 E11. Thanks to the support of KTS Oil Services Ltd. Parcol will exhibit at Valve World 2010, the most important trade fair for valve technology, which will be held for the first time in Düsseldorf, Germany, from November 30 to December 02, 2010. We hope we will have the possibility to count you among our visitors at Hall 03 - Stand 3B36, where you could talk about our products and the evolution of PARCOL in the energy market with our Agents and some of our Directors. In March Parcol has been awarded with a big contract for the supply of control valves for the Mochovce Nuclear Power Plant in Slovakia by Slovenské Elektrárne, the company whose shareholders are Enel Produzione and The National Property Fund. The supply covers more than 200 control valves up to 16” Nominal Diameter, including Limiphon, Varistep and VeGA Parcol brands. Out of these over 50 valves are Nuclear Qualified as Safety Class II and III. 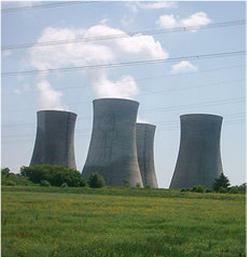 The two new reactor units of Mochovce 3-4 should be phased to the power grid in 2012 and 2013 generating 880 MW of new power capacity. 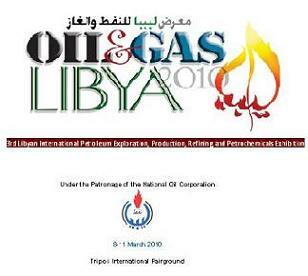 Parcol will exhibit at Oil & Gas Libya 2010, the 3rd Libyan International Petroleum Exploration, Production, Refining and Petrochemicals Exhibition, which will take place at Tripoli International Fairground from 8 to 11 March 2010. We hope we will have the possibility to count you among our visitors at Hall 58 - Stand 238, where you could talk about our products and the evolution of PARCOL in the energy market with the representatives of Parcol. If you would like more information on the exhibition and conference please go to: www.oilandgaslibya.com. The new catalogue of 1-6940 VeGA Cryo is available in the download area of this website. 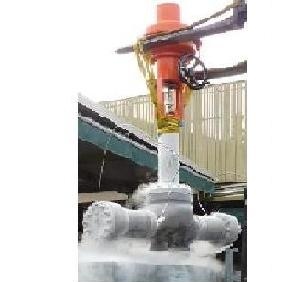 1-6940 VeGA Cryo valves are especially designed for cryogenic service and are generally tested in liquid nitrogen at -196 °C, using Helium as detecting fluid. Several options are available such as soft seat for seat leakage class VI and LIMIPHON multipath-multistage trim for severe service applications. Parcol China will exhibit at Miconex 2009, which will took place at SHANGHAI EVERBRIGHT CONVENTION & EXHIBITION CENTER WEST HALL from 20 to 23 October, 2009. 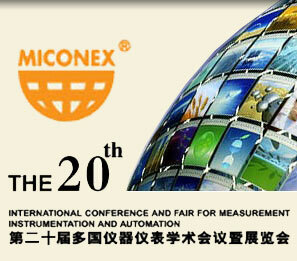 Miconex is the largest instrumentation exhibition in China, where a lot of control valves manufacturers are present every year and you will find Parcol China at FLOOR PLAN (International Hall) - Stand A037. This exhibition has always been the leading show in the field of instrumentation and control in China and an important event in the world. 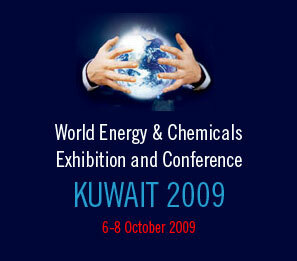 Parcol, through their Official Agent for Kuwait, Petroleum Service Company, will exhibit at Kuwait 2009 - World Energy & Chemicals Exhibition and Conference, which will took place in Kuwait International Fair Grounds - Hall 8 - booth 72-75, 79-82, from 6 to 8 October, 2009. After the heaviest valve, the biggest turbine bypass in terms of internal passageway (and therefore release capacity) in Parcol's history was completed in August. It is a colossal 1-5700 measuring 30" input and 60" output, capable of handling more than 1000 t/h of steam at a pressure of 42 bars and a temperature of 545°C. Commissioned by Maire-Tecnimont, the valve will be installed in Chile, in the coal-fired 370 Megawatt Endesa power plant in Bocamina, 500 Km south of Santiago, due to begin operation in 2010. It's almost 5 metres tall, weight 8.5 tons and is made entirely out of duplex stainless steel (SAF 2205): it's the heaviest valve Parcol has ever built. 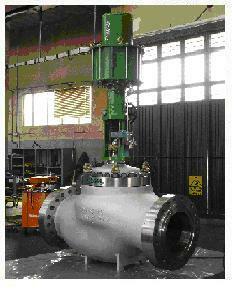 The giant was made, tested and shipped in early July: a 24" single-cage control valve from the new 1-6940 series. ANSI 900# passage 20", commissioned by the ITP Group, to be installed at the Salam facility in Egipt's Western desert. The end customer is Khalda Petroleum Co. The valve serves to reduce the pressure of the blend of liquid and gaseous hydrocarbons coming out of the extraction well before the fluid is let into a slug catcher to separate the gas and water from the oil which will be sent to the utilities. PARCOL IN ACHILLES SOUTH EUROPE S.L. 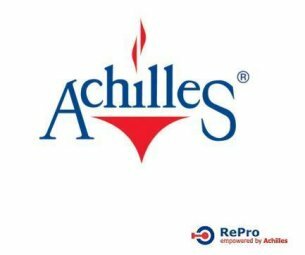 PARCOL has been officially registered with Achilles South Europe S.L. 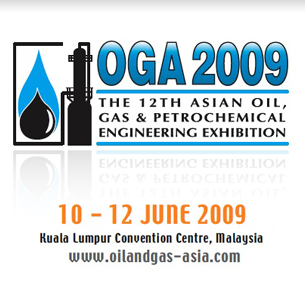 Parcol, through their Official Agent for Malaysia, Penninsular Offshore Systems Sdn Bhd, exhibited at OGA 2009 the 12th Asian Oil, Gas & Petrochemical Engineering Exhibition. We wish to thank all the persons who visited our site at Hall 1, Booth 1024, Kuala Lumpur Convention Center for their interest in Parcol products. In April Parcol was awarded an order to supply a turbine bypass for the 400 MW power plant under construction in Viotia in central Greece. The customer (THISVI) is an association of companies headed by Edison (which owns the majority share), Hellenic Technodomiki and other companies. 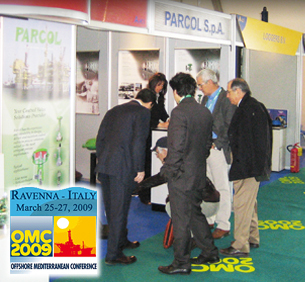 Parcol took part in OMC 2009, The Offshore Mediterranean Conference & Exhibition, which took place on March 25-27, 2009 in Ravenna, Italy. A large turnout of visitors has characterized this edition where Parcol have exposed some Limiphon, VeGA and cryogenic valves samples to the numerous EPC's and endusers who visited the stand. 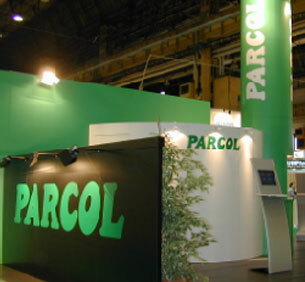 From the 11th to the 15th of November 2007 Parcol has been exhibiting at 20th World Energy Congress and Exhibition in Rome. During the event, promoted by the World Energy Council (WEC), numerous have been the visits paid by the most important clients and international energy organizations. Parcol SpA has been awarded orders for the supply of large size butterfly control valves for several desalination plants erected by Fisia Italimpianti (Impregilo Group) in the Persian Gulf. Site location are in Dubai - Jebel Ali L (final enduser DEWA) -, Qatar - Ras Abu Fontas B2 (final enduser QEWC) - and Abu Dhabi - Taweelah B (final enduser TAPCO). In Parcol scope butterfly control valves with low noise and anticavitation vane, made of Duplex St. St. (SAF 2205) and ND upto 1800mm.